Divergent: In Beatrice Prior's dystopian Chicago world, society is divided into five factions, each dedicated to the cultivation of a particular virtue - Candor (the honest), Abnegation (the selfless), Dauntless (the brave), Amity (the peaceful), and Erudite (the intelligent). On an appointed day of every year, all sixteen-year-olds must select the faction to which they will devote the rest of their lives. For Beatrice, the decision is between staying with her family and being who she really is - she can't have both. 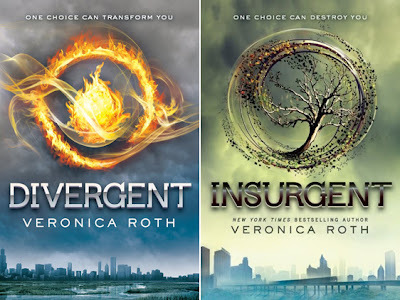 Insurgent: One choice can transform you - or it can destroy you. But every choice has consequences, and as unrest surges in the factions all around her, Tris Prior must continue trying to save those she loves - and herself - while grappling with haunting questions of grief and forgiveness, identity and loyalty, politics and love. I don't think there is very much I can write about these books that hasn't already been said. Divergent was the Goodreads Choice 2011 Favorite Book of the Year. It's received rave reviews, but I owned it for almost year before I actually got around to reading it. I honestly thought it had been hyped too much and couldn't possibly be as good as everyone was saying. Well, surprise, I was wrong and now totally understand why everyone loves this book! At almost 500 pages, this is not a book you expect to finish quickly. But that's exactly what happened for me! Once I got started, I couldn't put this book down. The dystopian setting was so interesting and unique, which really impressed me after having read a number of them. I'm continually impressed by the imaginative worlds that I've read about in the last year. And the one in this book is no different! In fact, I wanted to know even more about the factions, how they came about and what led to city to make the decisions they did. It wasn't a lack of world-building - I just had extra curiosity because I found the setting so interesting. I was also in love with the characters. Tris and Four are awesome! Tris is still coming in to her own, learning who she is and how to face her fears. But she's also kind of a badass. She's self-reliant, exciting to read about and also kind of tough to love. She's prickly, in some ways. But I still fell for her and Four. Oh, Four. That's all I'll say about that until you read it for yourselves. As soon as I finished Divergent, I immediately had to buy Insurgent. I couldn't just leave the story hanging! Divergent has a great story in its own right, but it also really sets everything up for the second book. Insurgent got off to a fast start, and it felt like it never stop. This one is definitely all about the action. Unfortunately, there were a few times I felt a little jerked around in terms of pacing. But overall, I enjoyed it as much as the first book. I think I liked Tris a little less in this one, but I'm hoping I'll find more reasons to love her in the final installment. 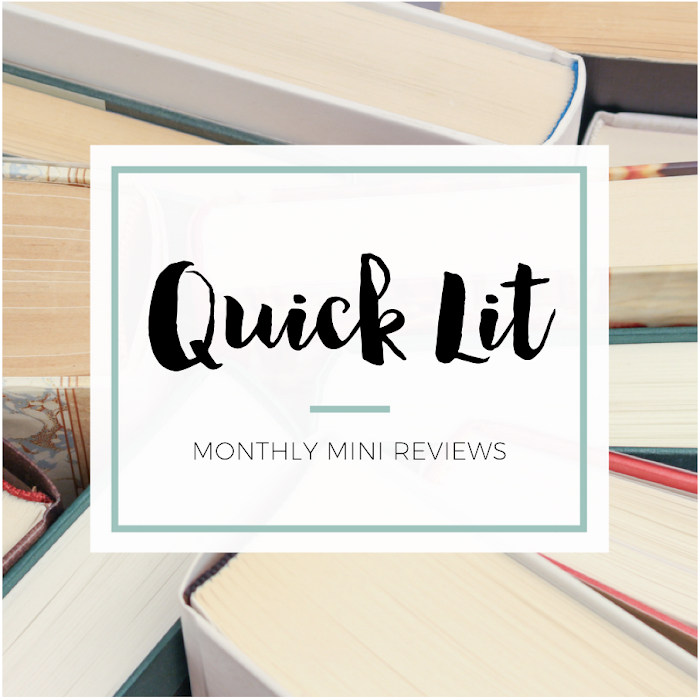 If you're like me and are one of the few people left you haven't read these, I definitely recommend losing yourself in this exciting world and falling in love with these memorable characters.
" I believe in ordinary acts of bravery, in the courage that drives one person to stand up for another." "People, I have discovered, are layers and layers of secrets. You believe you know them, that you understand them, but their motives are always hidden from you, buried in their own hearts. You will never know them, but sometimes you decide to trust them." Hannah, I am one of only two people that I know that didn't fall head over heels in love with Divergent. I had my library order it for me to read, and then I was so unaffected by it that I didn't even blog about it. And I didn't get excited about Insurgent and haven't read it yet. BUT...I do have my name on the wait list at my library for the audiobook version of Divergent so I can give it another go in a different format. I'm not sure why it didn't click with me - but I have a sneaking suspicion that it was all of the hype and the buzz (which lasted for-e-ver), which I tried to stay out of. 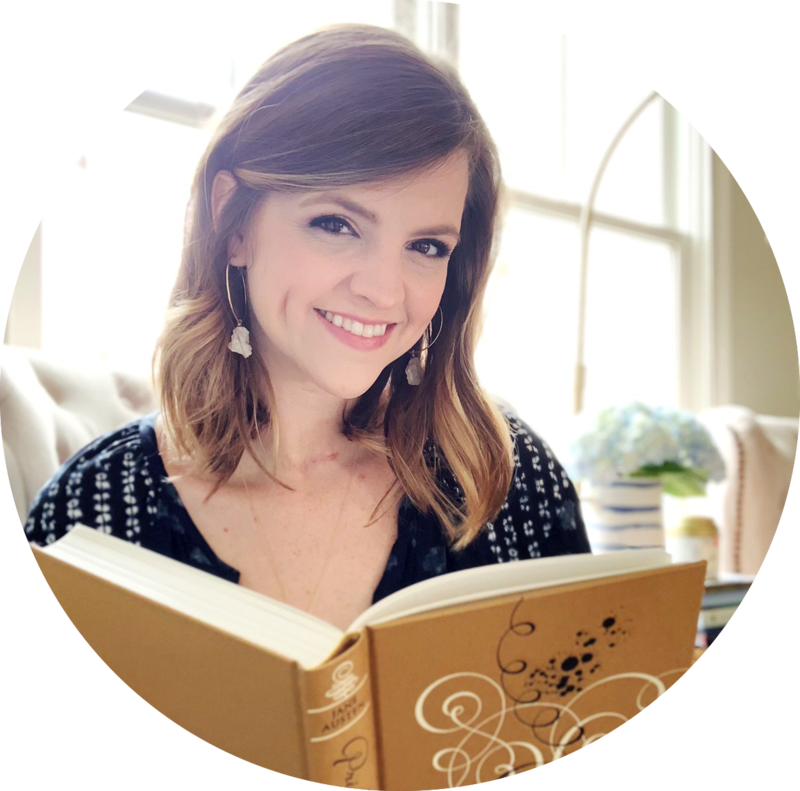 As a book blogger, I was inundated with the "Which faction are you?" stuff in my reader before I even knew what a faction was. I think the marketing campaign was just overkill FOR ME. But I AM going to give it another try, especially since there will be a movie, which will probably be really exciting. I waited almost a whole year to read Divergent to try and get past all the hype. Also, I'll be completely honest, the faction thing TOTALLY turned me off from reading this book. I unfollowed a number of people on Twitter (some just for that period of time) because I just couldn't take it. I honestly think they over-marketed the book. I'll be interested in seeing if you like it better with an audio re-read or if you'll still remain indifferent. And I think it's totally okay if you're still meh! I think it's so important to have different opinions on books :) That's what is fun about reading! Oh I'm glad to hear you say this. I'm in line at the library for Divergent on audio - I didn't want to spend a credit on it after not loving it in print. Whenever my turn pops up - that's when I'll give it a listen. I have a great in-real-life reading friend that actually liked the audio, but he doesn't follow the same media that I do on twitter so he didn't get involved in all of the hype. So we'll see! I totally dread the same marketing buzz coming up for for the final book, though. Grr. I really liked Divergent, but had problems with the explanation for the type of dystopian society. And that was multiplied in Insurgent, which I didn't like as much. But, I'll read the next book just because the ending left so me hanging. I can understand that! I think I got so caught up in reading it and enjoying the characters that I didn't read it as critically as I might have if I wasn't as into it. I'll be interested to see what I think of it upon re-reading. I wonder if you'll like it more or less after the third book comes up! I look forward to finding out. I just got Divergent on audio so I'm stoked that you dug it. Let me know if the audio is good! I'm considering an audio re-read later this year. I can't wait for book three! What's going to happen?! I'm so excited to find out! Yay, I absolutely LOVE this series! I also didn't expect that I'd read a book this big so very fast, but I read both of them in under a day (seperately, that is, not both of them in the SAME day. That would be crazy. And totally awesome.) I NEED the third book. Preferably right now. I read both in under a day (also separately haha) and was surprised at quickly they went by! I'm really excited for book 3 - hope it comes out this year! I haven't read these either, which is horrible because I've owned Divergent for over a year and just haven't gotten around to it. Maybe this review is the push I need! I owned Divergent for forever before I got around to reading it. It's long but moves REALLY quickly. I got really into it & devoured it! Hope you pick it up soon! Yeah for living up to the hype! Isn't it the best when a book is just as good as everyone's been saying?! Great post and thanks for sharing. Please visit my website solicitors UK and give me your views and feedback.